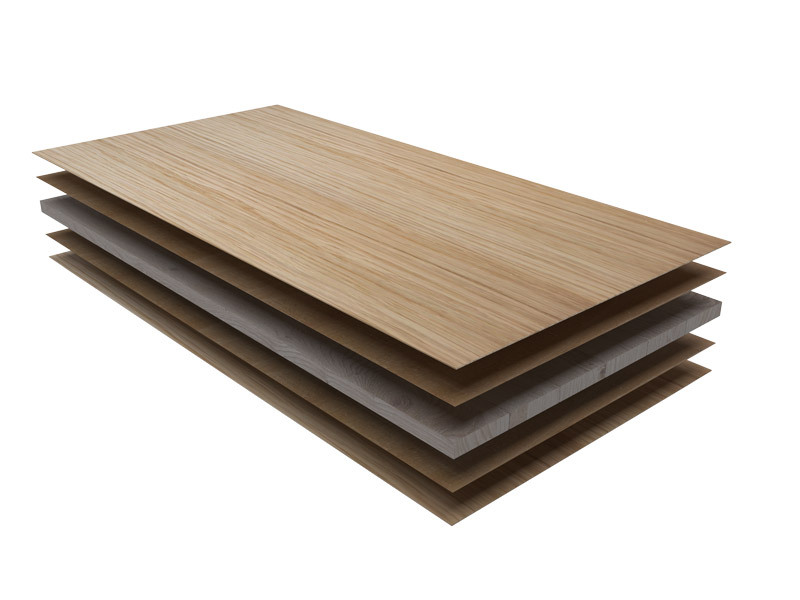 The most valued type of panel, where a raw wooden board, such as Blockboard, Plywood, MDF or Chipboard, are veneered by the mean of a thin sheet of noble wood. Each veneer is selected and joined according to our client’s requirements. Therefore, the Firm manufactures each and every order following the indications the customers has given. A product for important furniture or joinery works. It is made by multiple layers of crossed poplar rotary cut veneers, then coated with noble woods veneers. An alternative to solid wood, it provides excellent results when veneered.It features high resistance and little alteration in structure over the years. Entirely manufactured in our plant. It is a high-quality item, which represents an important alternative to solid wood. It is used for creation of prestigious furniture and fine joinery works. The core may be made of joined Austrian Fir beams or European Poplar beams. Either a Ceiba or Poplar rotary cut veneer is then laid on each side of the core, glued and hot-pressed over it. The blockboard may feature two layers or four layers of rotary cut veneer above the core (3 or 5 layer pattern). HDF sheets can be used too. After sanding, the raw panel is ready to be veneered by using the type of wood the customer has chosen. Blockboard offers good resistance and minimal structural alterations over the years. A panel made of scrap woodglued and pressed together. It is an easy panel to veneer, as it features even and clean surfaces. Fairly resistant, it is the most economical board used for veneering. 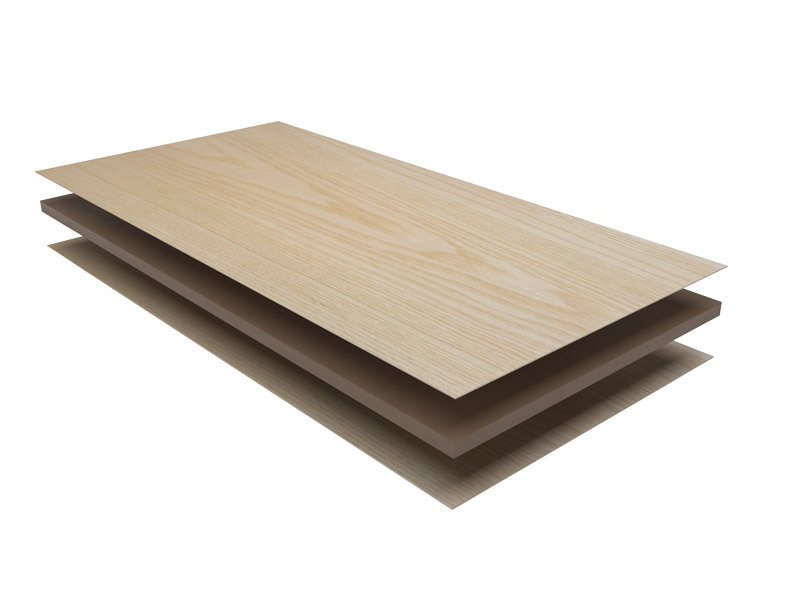 The acronym MDF stands for Medium Density Fiberboard. A board made of grinded chips, tiny wooden particles and sawdust. The mix obtained from the grinding process is glued and compressed to create a sort of wood pulp. MDF features extremely smooth and regular faces and gives excellent results when veneered. 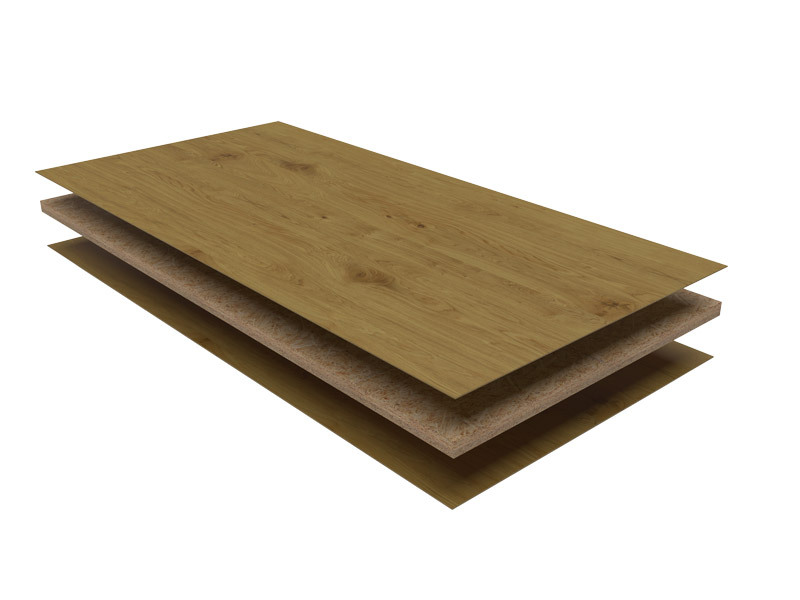 It is more expensive than chipboard, but less expensive than blockboard and plywood. In spite of its moderate resistance, it is a pretty heavy board. For this reason, most manufacturers produce it in some lighter yet more expensive types. IPA works with several wood species, all of them coming from original growth areas in 5 continents. To a careful selection of the best wood and a large production, corresponds the continuous technological updating of the equipment. Our contact with the European and extra-European sector companies, as well as the constant research, allow us to be at the forefront of equipment and manufacturing process. *No veneer can possibly be equal to another, as every log is unique. This is the appeal of natural wood. There are no identical pieces. The displayed pictures show an example of the various types of wood.